The always busy schedules of hiring teams are often one of the reasons for delayed hiring. 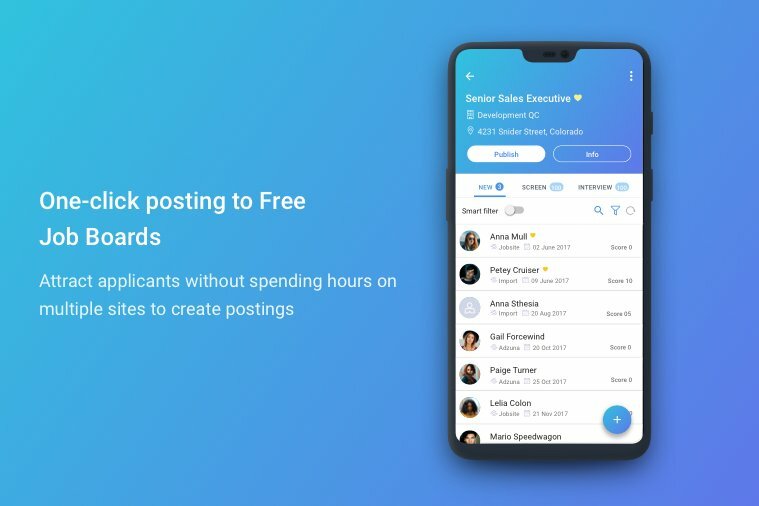 We introduced the Jobsoid Recruiter Mobile App with the sole intention of simplifying the lives of Hiring Managers and Recruiters. A mobile app which could help them manage their recruitment from any place and at any time. 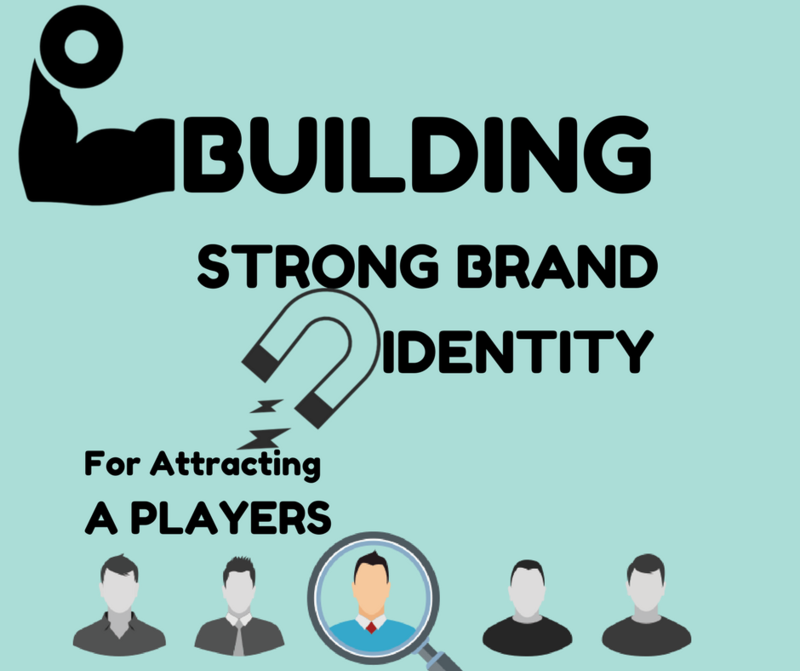 The primary objective was that recruitment should not be restricted only to your workstation or office desk. We wanted to build a solution which could help carry out almost all of the daily recruiting tasks on a mobile phone. What’s new with Jobsoid Recruiter? 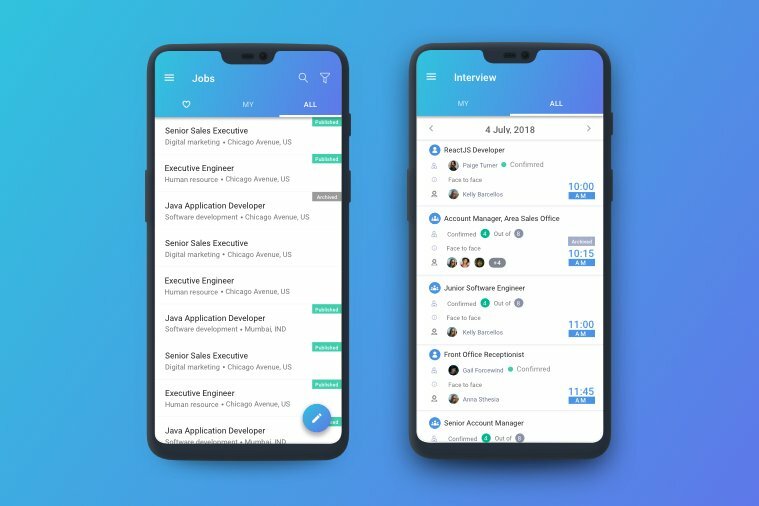 Jobsoid has been evolving over time and to keep up with such a fast-growing recruiting platform, our mobile app had to gear up. However, due to some technical limitations in the way the app was initially built, we couldn’t do much. Hence, we decided to build a fresh, modern mobile app – from scratch! Introducing the all-new Jobsoid Recruiter mobile app with a fresh design and neat layout. We have completely changed the look and feel of the mobile app. The new design is intuitive and user-friendly. We have kept the design really simple so that the app itself visually communicates with you. The mobile app now has easily navigable menus, structured layouts and quickly accessible action buttons. The new user interface has not only enhanced the presentation of the app but has also contributed to an improved user experience. We believe that a good app is one which makes the work easier for its users. The older version of Jobsoid Recruiter mobile app had limited functionality. The user had to switch to the web app in order to carry out certain tasks. Hence, we thought of revamping the mobile app completely. We had numerous design iteration to decide the layout and flow of the app. We wanted our mobile app to provide a better user experience than our web app. You can now carry out most of the functions with minimal effort. You can navigate through the entire app seamlessly and carry out all the tasks with ease. We have taken care to see that the overall functioning has been improved 10x times. 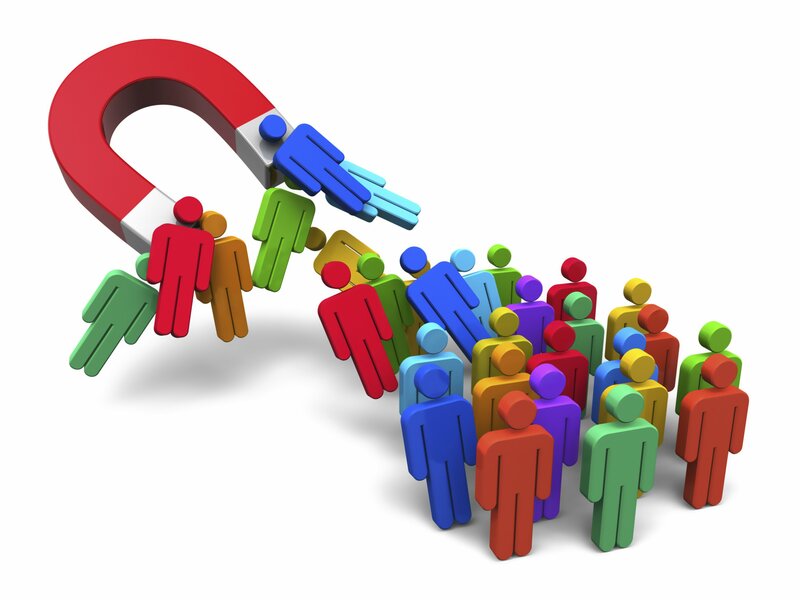 Jobsoid Recruiter now has most of the functionalities which are available on the Web App. 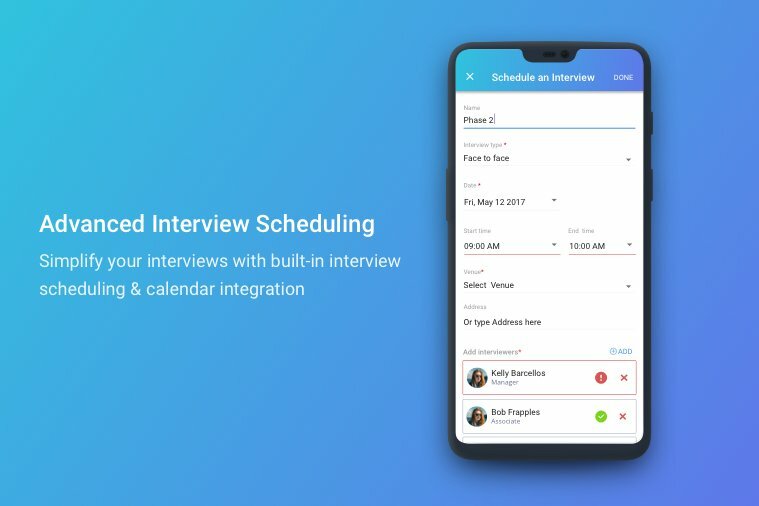 You can now publish jobs, access candidate information, communicate with candidates, collaborate with your hiring team, schedule interviews and do many more tasks while on the move. You have all your recruiting data available at your fingertips. We had released this new version of Jobsoid Recruiter for beta testing earlier this month. We received a humongous response and amazing reviews. We would love to hear from you as well. Kindly download the latest version and share your feedback with us. We are waiting to hear from you! Jobsoid Recruiter 2.0 is compatible with all Android Mobile Devices. We will be releasing the iOS version shortly.